Another year gone, can you believe? January not only brings holiday hunting and sales, but lookbacks at what really made 2015 – now, I’m not talking man buns and the #KylieJennerChallenge, but my favourite launches that 2015 brought, and the most talked about. 1. Guerlain Meteorites Oxygen Moisturiser. Now, it’s not a moisturiser but it certainly is one of the best launches of 2015. For use underneath best-selling Meteorites primer, or alone, this moisturiser evens the skintone, smoothes the skin and gives a lasting radiance. FAB! Right back in the beginning of 2015, in time for Valentine’s Day came Chloe’s Love Story. Soft, subtle and ultra-feminine, this perfume really did make the perfect Valentine’s present. Wow. Heavily advertised over the festive season, this exotic floral perfume took the scent(store) world by storm and I can see why, subtle yet addictive. First of the two launches from Jimmy Choo, Blossom is exactly as it looks. Sparkling, bold and bright, just like a cocktail. Good enough to drink (but not really)! 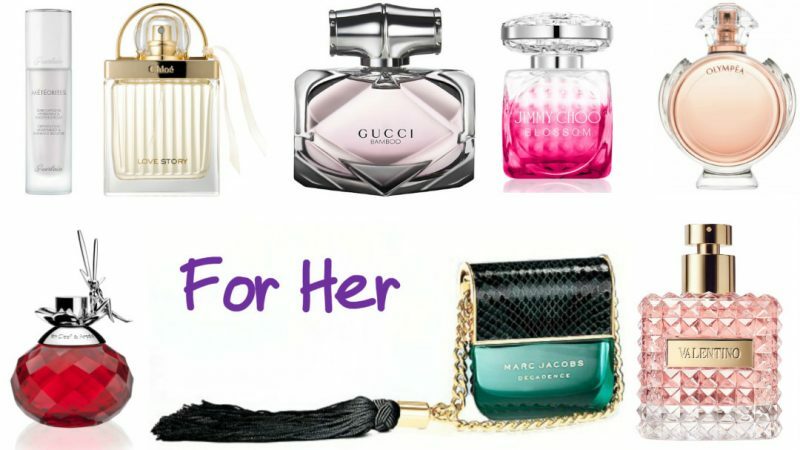 Like the Valentino Donna, it can be risky when doing ‘His and Her’ scents, as they have to be just as good. Although Olympea is very different to it’s male match, Invictus, it’s still delightful. The concept being the Olympea goddess is the woman of all victories. A latecomer in the year, launching in September, this little gem certainly didn’t disappoint. Aiming for a female timeless scent as good as Uomo was going to be hard. But they did it. They pulled it off. Another latecomer, also launching in September, this one was HUGE. A classy (but controversial) bottle and a more luxurious scent, Marc Jacobs delivered an absolute beauty and I expected nothing less. 8. Van Cleef Feerie Rubis. The bottle alone is enough to drop jaws, with a cute little fairy on the gorgeous ruby red bottle. The juice is just as good – with berry goodness mixed with floral notes. What was your fave launch of the year? Let me know.